Mail Tracking Makes One-to-One Connections in a Digital World. Regardless of what your direct marketing initiatives are, you'll want to easily manage and trace your outgoing mail, from start to finish. IMB Mail-TraX services give you the ability to keep track of your outgoing mailpiece movement throughout the delivery process, as well as incoming return reply mail. Using machine-readable Intelligent Mail barcodes (IMb), IMb Mail-Trax provides a seamless tracking system for reporting a variety of information such as the date, time, serial number, delivery point, and sender of the mailing service. It also gives detailed information on real-time locations of your mailpieces within the postal system as it is scanned into the USPS OneCode Confirm Service. 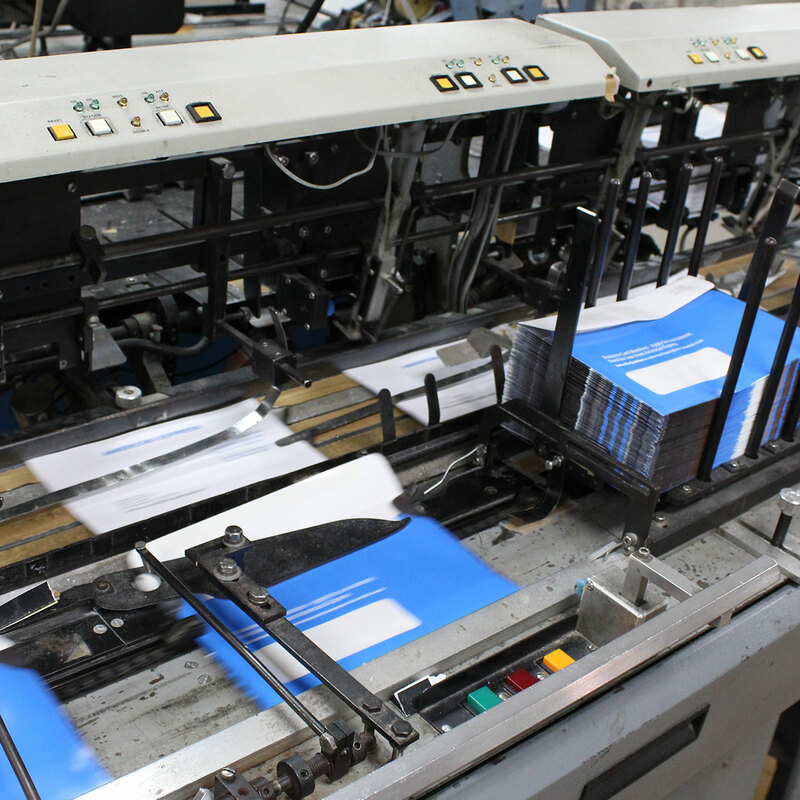 Design Distributors' IMb Mail-TraX will make your direct mail campaigns faster, more economical, and improve response rates and ROI, while giving you quantifiable data for use in future projects and market expansion. Incorporates USPS Intelligent Mail barcode to provide entry to delivery OneCode Confirm tracking data of a job’s path through the mailstream. Compatible with First-Class® and Standard Mail®. Allows unique identification of every piece in a mailing job, to provide delivery details with any desired level of specificity. Estimates delivery arrival and the “days-in-system” each mailpiece will need based on class and sorting. Multiple levels of data collection and reporting. Integrate direct marketing programs. Boost response rates by timing follow-up e-mail or telemarketing calls to coincide with in-home direct mail delivery by taking advantage of the delivery predictability that comes with using IMb Tracing™ to track outgoing mailings. Sharpen follow-up communications. Use the mail intelligence gathered from IMb Tracing™ to track incoming and outgoing mailings to improve the effectiveness of telemarketing follow-up. Ensure timely delivery of marketing messages. Ensure that marketing messages reach target audiences in time to support promotions and boost traffic by using IMb Tracing™ data for near real-time tracking of outgoing solicitations. Test different creative images and offers against others to evaluate the success of ad campaigns and determine which bring higher response rates by using IMb Tracing™ on both incoming and outgoing mailpieces. IMb Tracing™ results are faster than conventional seeding methods for which results may take weeks or months to compile. Evaluate mail effectiveness. Plan future campaigns by using IMb Tracing™ on incoming reply mail to measure how effective direct mail is at generating responses or sales and identify the day of the week customers are putting reply mail into the mailstream. IMb Tracing™ data can be used to identify and analyze response rate curves.